ACU UCP GORE-TEX JACKET RANKS Military Name Tapes & Rank Insignia. Leather Flight Badges for all Branches of Service. SLIDE-ON Rank insignias for the Army Combat Uniforms. 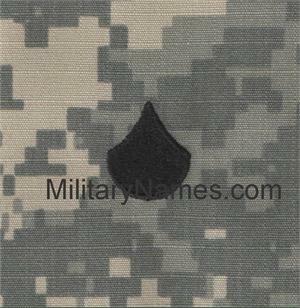 Embroidered ranks on ACU digitized fabric for the Gortex Jackets. Attention: these slide on , the Do Not come with Hook Fastener .